Since this review was written, Cetrone's closed their dining room. It's still a good place to get takeout or delivery, and there are a few tables left if you want to eat there, but it's no longer a place to take the kids, or any party larger than about four. Cetrone's Pizza Place, 13631 Old Annapolis Rd. Even using your GPS to find this unassuming pizza joint can be a bit of a challenge. The restaurant's menus list it as "13631 Annapolis Rd. ", but on Google Maps and most other places, the stretch of "old 450" with Cetrone's is "Old Annapolis Rd." Cetrone's wins the title of Best Pizza in Bowie almost by default. Bowie has Uno's, Three Brothers, Villa Pizza, Domino's, Papa John's and two-and-a-half Pizza Huts (I'll explain later). Other than the chains, T.J. Elliott's sells Ledo Pizza, but through a confusing arrangement it's not actually part of the Ledo chain. So if you want non-chain pizza in Bowie, I think you can say the choice comes down to Cetrone's and T.J. Elliott's. Fortunately, Cetrone's takes the crown with style. They offer two versions: the "pizza wheel" thin-crust and the doughier New York style. The former is my favorite, but you can't go wrong either way. We've tried the calzones and the pasta, and while the stuffed shells were pretty tasty, the four-star rating is definitely for the pizza. The employees had always been nice to me when I went to pick up the pizza (or called to have it delivered), so I was looking forward to finding an excuse to bring the family in for a meal. We recently found one on my 40th birthday. I've never seen the place particularly busy, but 5:00 on a Tuesday was a great time to make sure the kids wouldn't disturb too many other patrons. Additionally, we were able to take advantage of one of their specials -- Monday for thin-crust, Tuesday for NY-style. Service was very friendly and mostly efficient by a waitress who looked high-school-aged and was operating the front counter and the phone in addition to tending to the small customer base. She even brought some crayons and drawing paper, which the kids didn't get a chance to use, because the food was brought out quickly and piping hot. As much as I've enjoyed takeout and delivery, the food was especially good fresh from the oven. In my mind, no matter where you live, you should have a go-to pizza place on speed dial. Cetrone's fills that niche admirably in Bowie. I submitted this as an "Independent Pizza Restaurants" waymark. Thanks to Christina for the exterior photos used here and there. Bowie is also getting another Dunkin' Donuts location. I'm not thrilled with the redundancy (it's a 5 minute drive from the other Dunkin' Donuts), but it could be worse. Chipotle Mexican Grill, 15500 Excelsior Dr. This restaurant project is causing me to break all sorts of restaurant rules. Don't eat at a place that spells "grill" as "grille". Don't eat at McDonald's. Don't eat in a gas station. Another broken rule is: Don't eat at Chipotle. Years ago, Christina and I tried them a couple of times, each time waking up with a certain amount of digestive disruption. I attribute the problem to undercooked rice, but I have no idea why I'm so convinced of that. I was intrigued by the fact that they have an iPhone/iPad app that lets you order. I was thinking of waiting until they had an Android app, but ultimately it made more sense to order on the web. I suspect one of the advantages of the app (for Chipotle) is once you have it installed, it becomes one of your go-to food ordering options. The web-based ordering was pretty easy, allowing me to customize my order (and, for example, omit the rice). I chose my meal in taco format. Oddly, the site did not tell me how many tacos I'd get (three). The building itself is located in a random part of the Bowie Town Center mall complex. I've complained before about parking access to restaurants there. In this case, there was parking right out front -- but it was hard to find any free. I think they clustered too many restaurants around too few parking spaces. When I finally found parking and walked in, the line looked fairly substantial. The fact that I had ordered online, however, allowed me to jump to the front of the line. I always feel a little odd doing that, but that's what they say to do. The other advantage of on-line ordering is that I don't have to engage in a potentially error-prone back-and-forth, "Wait, did you say you wanted rice or no rice?" I was a little put off at having to wait a few minutes for my food -- the parking search had already put me past the pickup time the web site had told me. It wasn't a major inconvenience, but it's awkward to stand there waiting. The food itself was somewhat tasty, but not exceptional. The digestive disruption was minor. I realize my stomach's trouble with Chipotle may not be widely shared, but I don't see any reason to go there. California Tortilla is a much better quick-service Mexican option and less than half-a-mile away. If you have time to sit down, you should really use it, and go to Mi Hacienda or Monterrey. Chipotle is better than Taco Bell, and the web ordering system is nice, so two grudging stars. 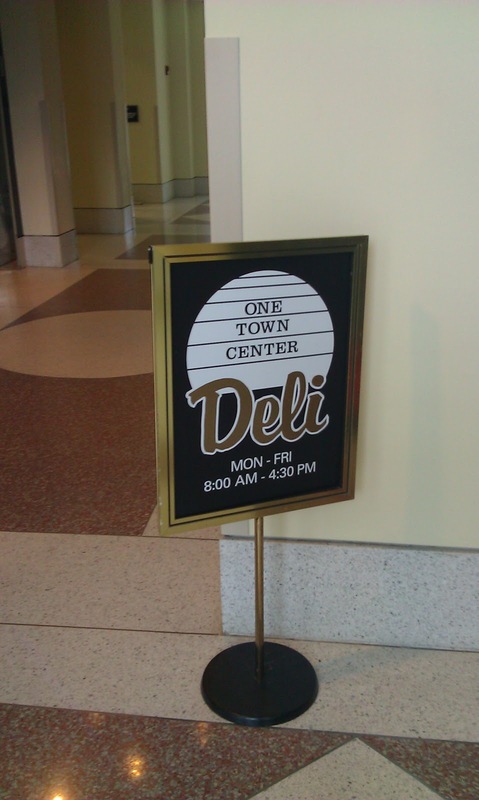 One Town Center Deli, 4201 Northview Rd. You might think a deli in an office building is an automatic candidate for a low rating. Certain types of restaurants -- fast-food joints, places where the only "meal" is a hot dog -- don't have much of a chance going in. But one of my criteria is "how much the restaurant contributes to the Bowie restaurant landscape." Bowie is trying to attract commercial development to go with its fairly healthy residential and retail sectors. I imagine saying, "Your employees with love the convenience of not having to leave the building/office park, and you'll love the fact that they'll be able to get right back to work," would help lure a business to Bowie. On the other hand, the office park in question, is literally across the street from the Bowie Town Center mall, which itself has about a quarter of Bowie's restaurant options. So although I'd eat there if I worked in that building, it's a little less essential. On my visits, while the food was acceptable, I found other aspects of the execution sub-par. They only take cash, which is not convenient. 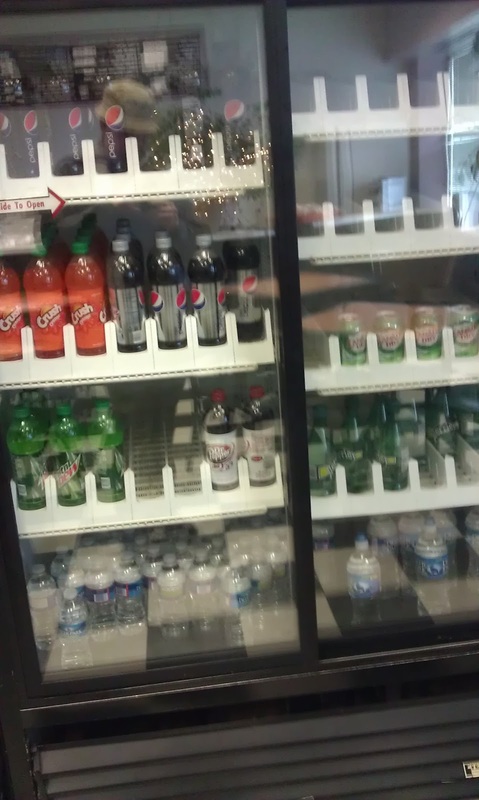 On both visits (two days apart), the soda cooler was not particularly well-stocked. And both sandwiches I ordered ended up being wrapped with an unnecessary piece of styrofoam, which is not cool from an environmental standpoint. So if you're already in the office park, I say go for it, unless you can spare the extra five minutes to head to the mall. But everyone else has better choices in Bowie. 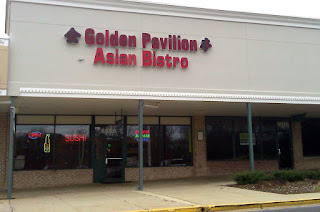 Golden Pavilion Asian Bistro, 6938 Laurel Bowie Rd. I am generally suspicious of restaurants that serve more than one type of cuisine; I think that they are unlikely to do all them well. I am seeing more Chinese/sushi restaurants, though, and some of them aren't bad. At our old house, for example, Seven Seas was our choice for not-driving-too-far Chinese food or sushi. So when Christina brought home a menu from this place a few minutes from our house, I was skeptical but hopeful. They had been in business since 1967 as a Chinese restaurant, but moved next door and re-opened last year with the addition of a sushi bar. I'm not sure whether that makes them 45 years old or 1 year old, but I'll confine myself to parsing what is a restaurant and let others tackle the question of restaurant aging. So four stars for a new Grantham family favorite. I think the only think that will keep us from visiting more often is that we had trouble finding anything on the menu that the kids would eat. That isn't a criticism of the restaurant -- it's just how the kids are right now. The staff was actually very friendly with the kids. I see it, though, for now as a good place for us to get takeout and for the occasional child-free date. I'm sure the boys will come around in time. I swung by Hunan Delight last night to pick up a menu. It turns out it's another carry-out-only joint. That drops the total to 75, which means I only have 36 to go! You're at the Bowie Town Center food court. You can't be bothered to walk the two minutes to Uno's or cross the street to get to Five Guys. Where should you go? 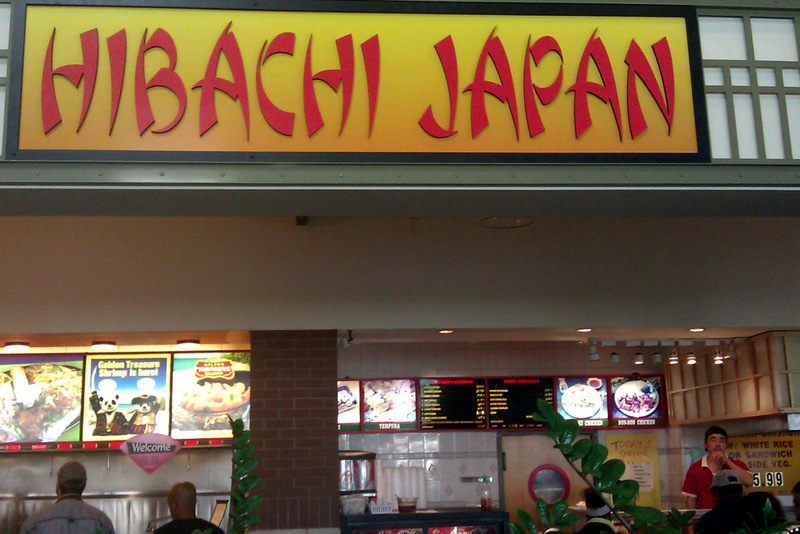 Hibachi Japan -- Your go-to place for bourbon chicken. Closed! Villa Pizza -- Surprisingly good for a food court, but seriously, Three Brothers is a 4-minute walk away. 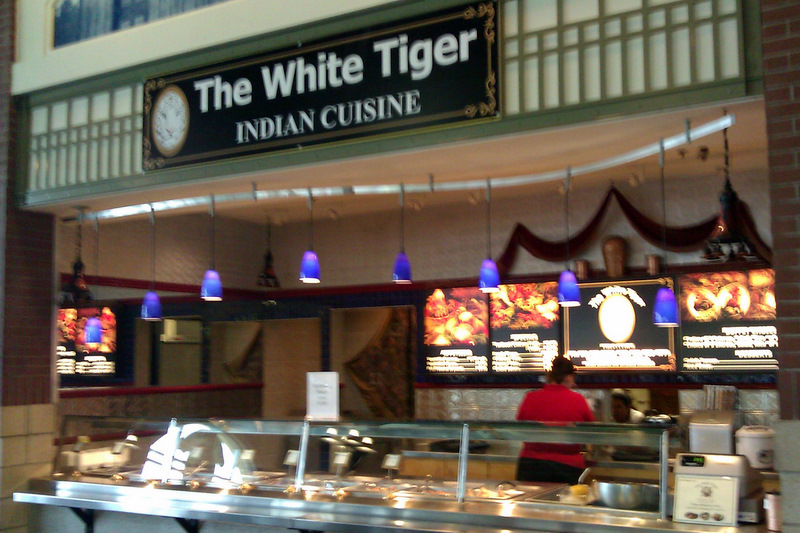 The White Tiger -- The only Indian restaurant in Bowie. Closed! Subway -- The only one of Bowie's Subway restaurants that's here. Closed! Dairy Queen/Orange Julius -- Not a full-service Dairy Queen, but they will sell you hot dogs significantly worse than the ones across the street at Five Guys. Panda Express -- Just step ten feet to the right and order the bourbon chicken. Closed! 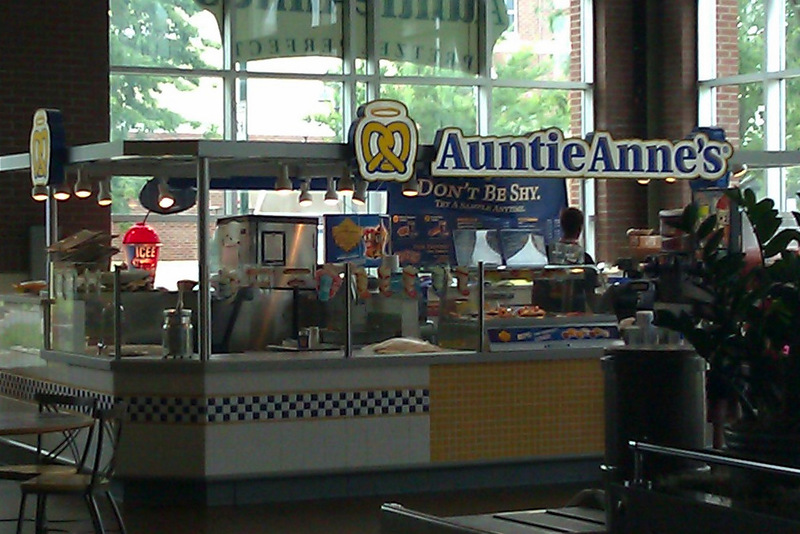 If you are just looking for something to tide you over until you figure out somewhere better to eat, stop at Auntie Anne's, which doesn't meet my standard for what constitutes a restaurant, but still serves a tasty pretzel. I'll try to do better this year, even if it means including goofy, "meta" posts like this one. Hey, I did better! The rebirth was fueled by my "Bowie Restaurant Project", which contributed 37 posts -- slightly less than half. It amazes me that despite this effort, I didn't reach the levels of 2006-2007. What was I posting about then? It looks like travel. In 2007, I had posts about trips to the Bahamas, New York, Finland, Estonia, Barcelona, California, Austria, Singapore, Malaysia and Las Vegas. Wow. I used to travel a lot. My reasons for traveling less are documented on another blog, so they won't be showing up too much here. I can, however, make the most of the travel I do have. And review more of the books I read. And finish the Bowie Restaurant Project. And cut myself a break for not keeping up the same posting schedule post-kids that I had pre-kids. This year I decided to go with a bar graph. 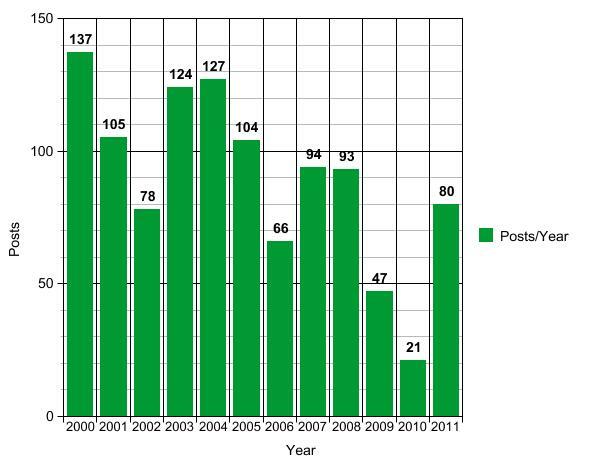 Now that I've reviewed all of Bowie's 76 Subway restaurants, here they are, ranked from best to worst. 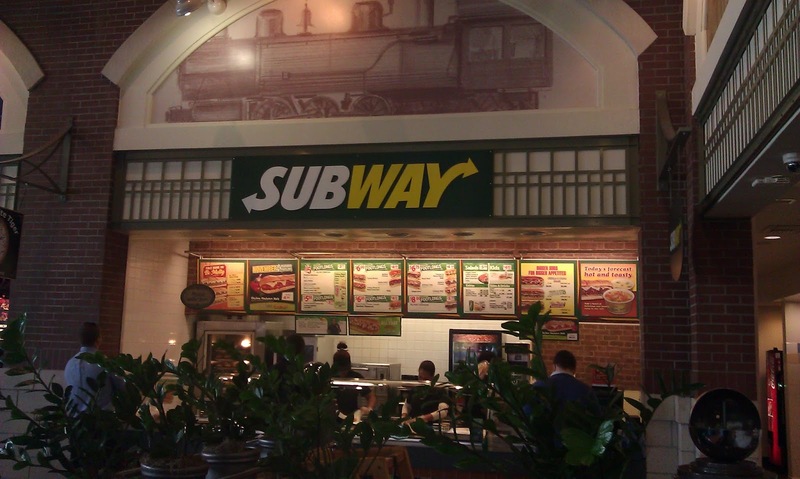 Subway (Bowie Plaza). It was a close race for first -- well, because one decent Subway restaurant is pretty much indistinguishable from any other one. But it's a freestanding location conveniently located near some major thoroughfares -- basically, all you could ask. 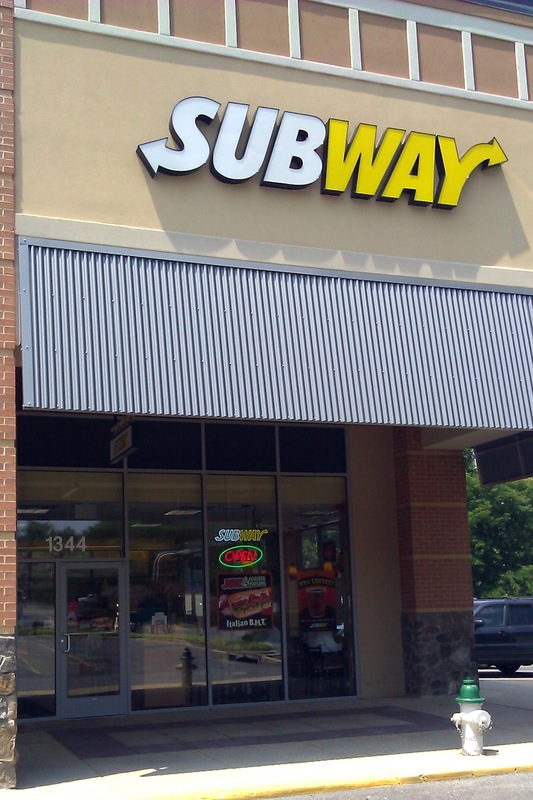 Subway (Pointer Ridge Plaza). We've already established you're going to Subway, and this place is by far the best choice in the south-of-Route-50 part of Bowie. 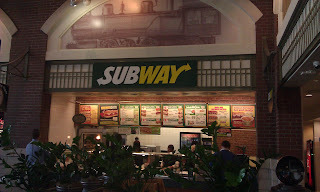 Subway (Free State Mall). Another fine choice, which only drops this far because of the relative scarcity of parking. 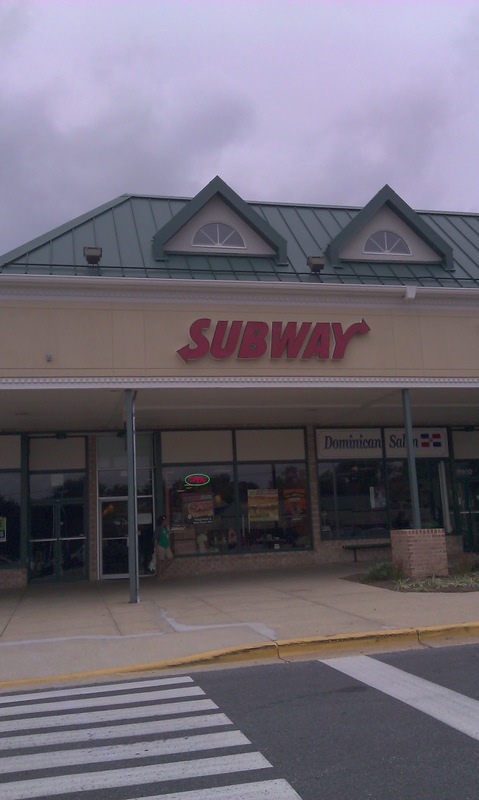 Subway (Bowie Town Center). It's in the food court. That in and of itself isn't so bad, but as long as you're eating in the food court, maybe you should consider some place slightly more interesting, like the bourbon chicken place. Closed! Subway (Wal-Mart). You're eating in a Wal-Mart. What could be more depressing? Subway (BP). Eating in a gas station. It avoids the bottom for being a slightly bigger, newer gas station and having a better soda machine setup. Subway (Kim's Sunoco). Do yourself a favor and walk to Rip's deli and get a sandwich there. I have since learned that it's not actually in Bowie. Good riddance.